Love The Life You Live…..Live The Life You Dream! 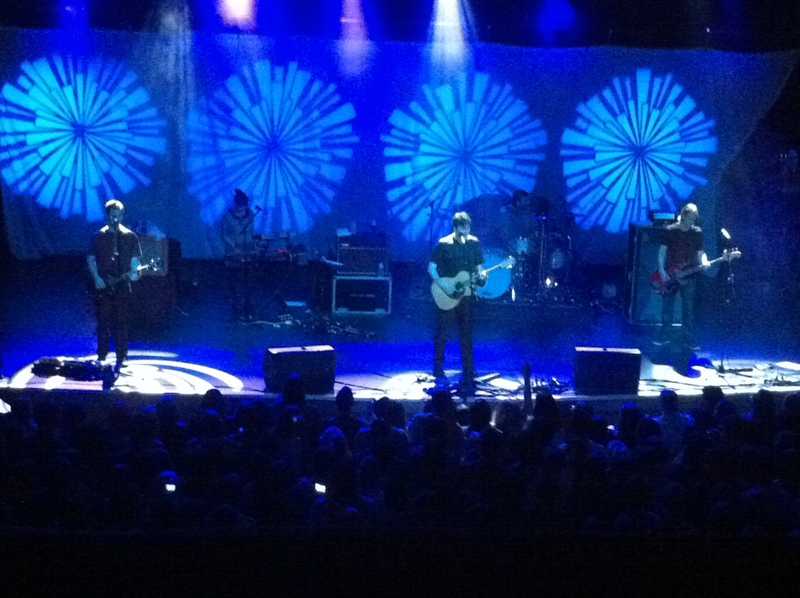 An Evening With Jimmy Eat World. 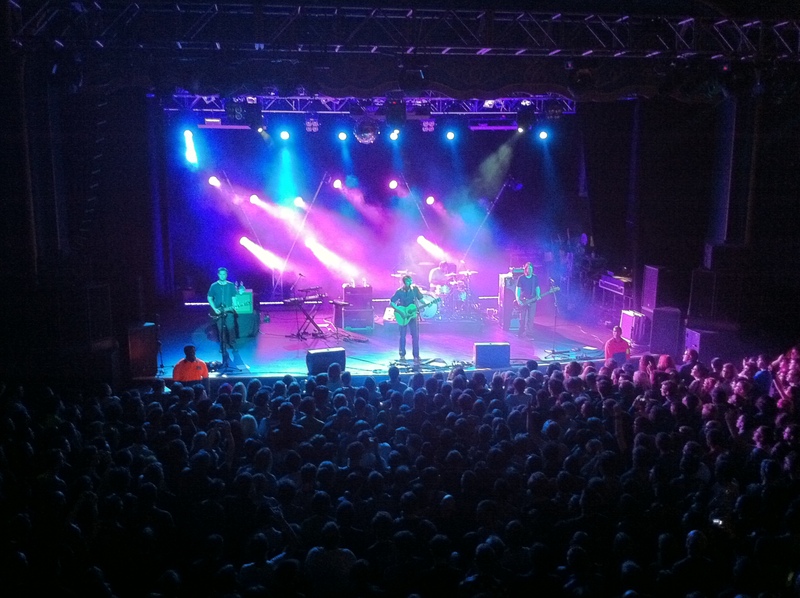 Last night I had the pleasure of going to see one of my favourite bands Jimmy Eat World perform live at the HMV Forum in London. 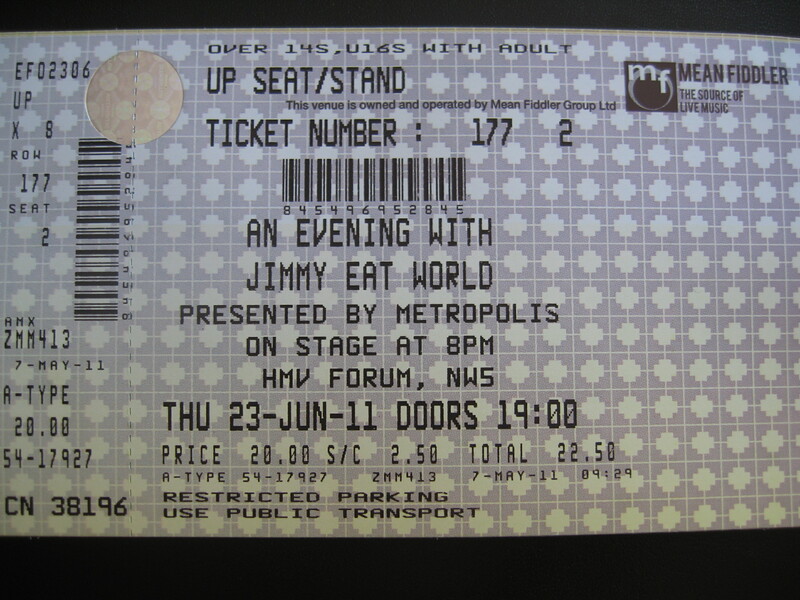 It was the second Jimmy Eat World show I’ve seen in just under six months and as expected they gave a phenomenal performance; everything about the show from the set-list to the lighting to the incredible atmosphere was absolutely epic. 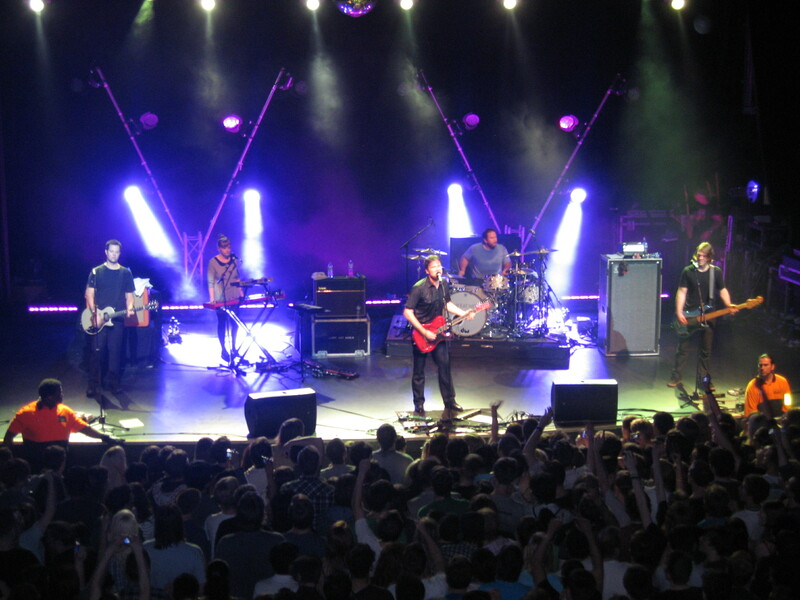 This show was particularly special; it was one of only two shows ever in the UK in which the band played two of their most popular albums “Clarity” & “Bleed American” back-to-back, with a few extras thrown in just to add to the mix. As always I went armed with a smile, enthusiasm and my camera (well my compact); and I can honestly say that it was worth the wait; the band outdid themselves in every way and the atmosphere was electric. 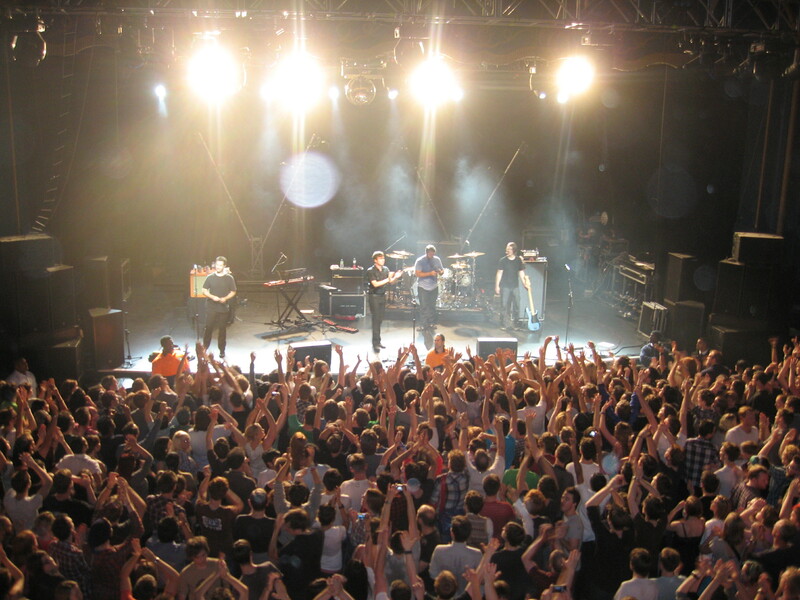 The band received a standing ovation from the crowd who already whipped into a frenzy; were itching for more. It doesn’t seem to matter how many times I see these guys live; they just get better and better and are without a doubt my favourite band to see play live. 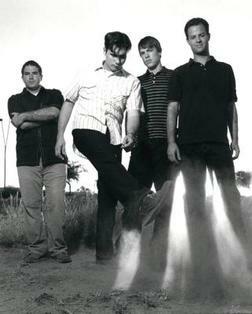 Following the release of their sixth album “Invented” and an extensive tour in the US, Jimmy Eat World have now entered the UK & European leg of their tour and are scheduled to appear in a number of locations and Festivals across the UK including Glastonbury, The Reading & Leeds Festivals and most notably they will open for the Legendary Foo Fighters (who are currently touring to promote the release of their latest album “Wasting Light”) on Sunday July 3rd at the Milton Keynes Bowl Stadium (definitely one not to miss). Spotted this morning on my way to work! Found this incredible winter shot by @smaku and had to share! Go check out the rest of his work!